Proving that Christmas decorations don’t have to be tacky, New Evolution offer a modern approach to Christmas décor that is all about simplicity, understatement and beauty (think Scandinavian style). 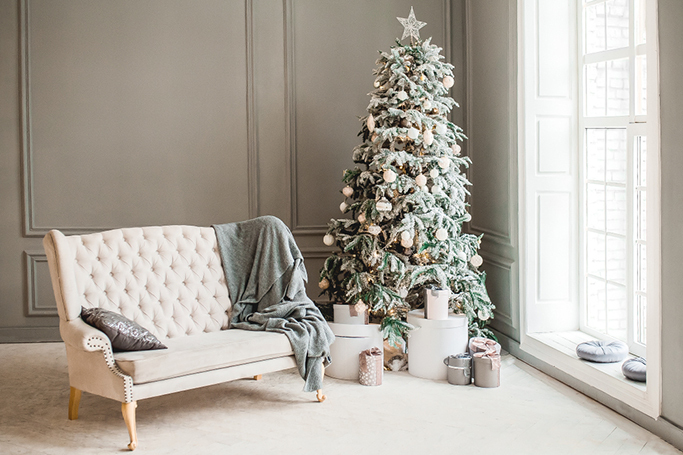 So, if you’re looking for ideas to upgrade your festive décor this year, here are New Evolution’s tips on decorating for the holidays –and if you’re already thinking of a New Year’s renovation, contact New Evolution for a free quote! 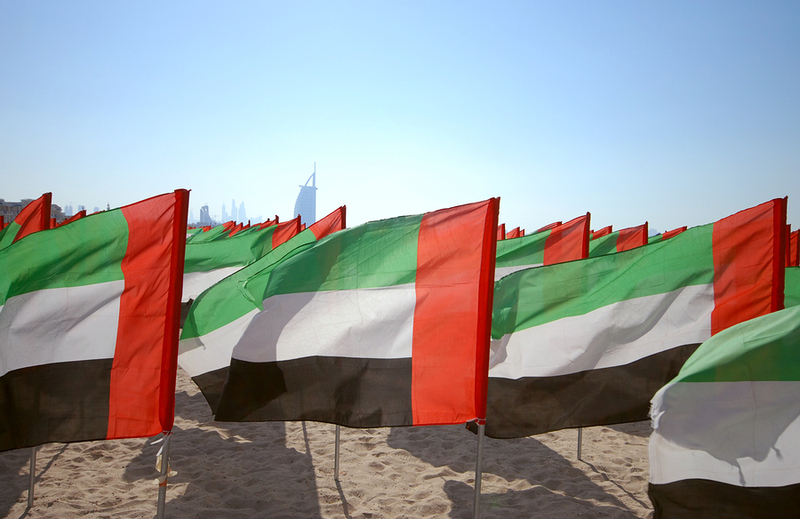 The first festivity we’ll be celebrating in December is UAE National Day. With 12 years of experience in Dubai, New Evolution will proudly fly the UAE flag this National Day –as you can also decorate your home in red, green, white, and black. 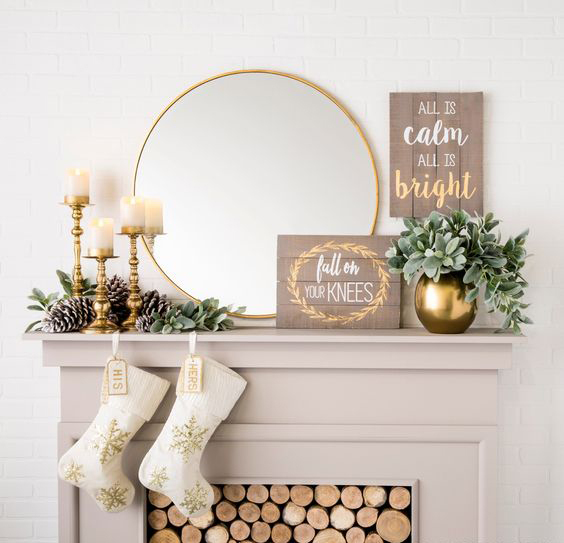 Make the fireplace the focal point of your living room this festive season –with candles, ornaments and lush green wreaths. 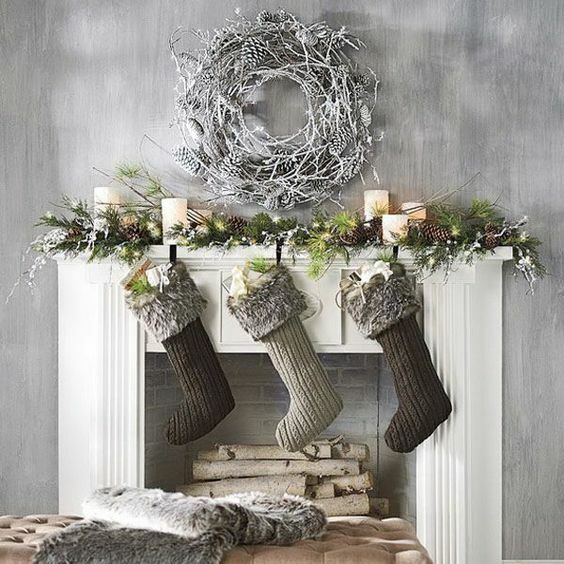 Use your Christmas stockings as a stylish feature and surround them with complimenting colour hues. Experiment with arrangement, layering and eye-catching details. 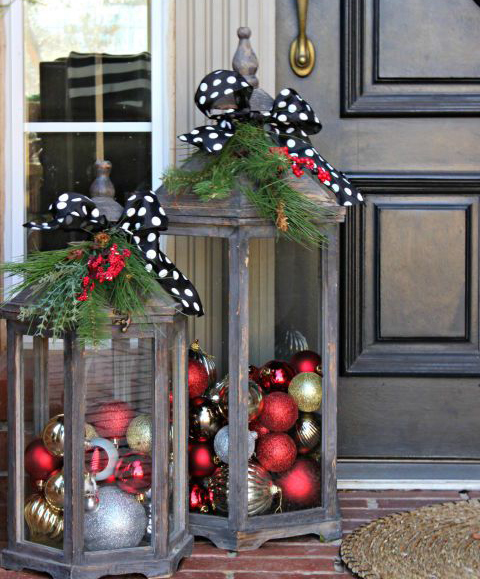 Outdoor Christmas decorations don’t have to comprise of flashing lights and bold ornaments. Instead you can decorate your garden with traditional Christmas tones that have a modern twist. 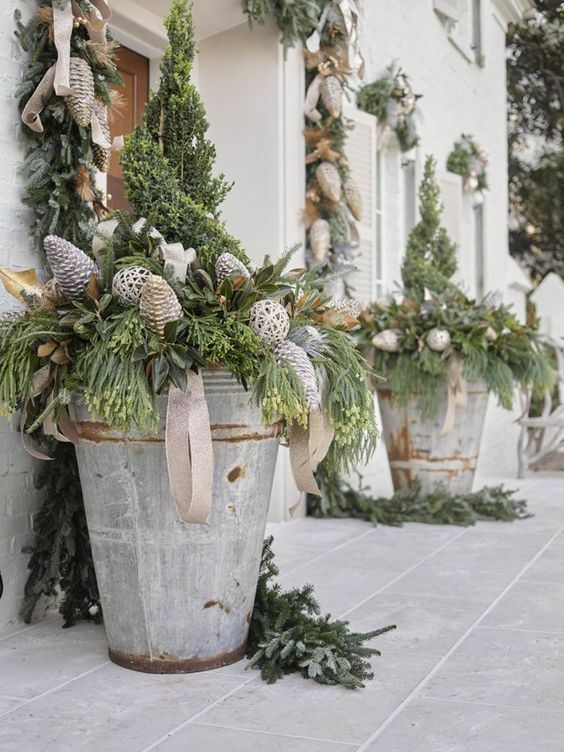 Combine the cool tones of metal planters with rustic wood, filled with evergreen foliage, pine cones, and the odd glistening bauble. It’s important to pick a theme and stick to it. Select a colour scheme to infuse throughout the home, whether its adding elements of gold or silver, or wintery blues –try to choose a palette that will compliment your everyday décor. That way the decorations will look chic and contemporary. 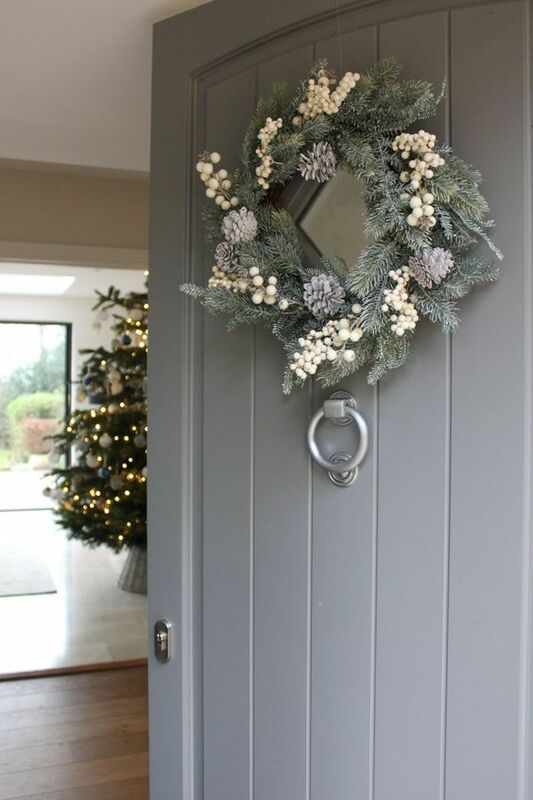 Traditional wreaths are often adorned with baubles, berries and coloured ribbon, while a more minimalist approach might stick to a monochrome palette that also enhances the style of your front door. Today there are many modern, unique and elegant wreaths to choose from. Strip back the Christmas tree and just add simple lights and a few decorations. 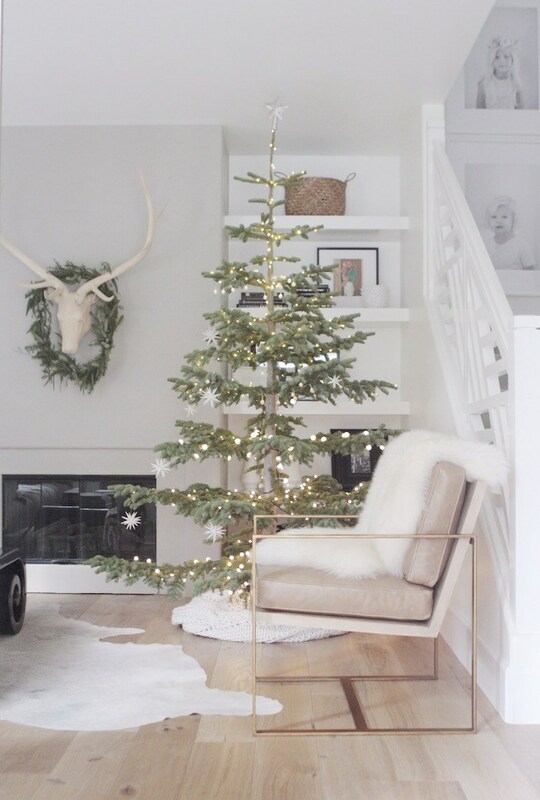 While we still love an elaborate tree, this look is calming, cosy and has a distinctly modern feel. Add evergreen foliage for colour and faux fur throws for texture –taking you from the Middle East straight to Scandinavia. If you love the glitz and glamour of the festive period, don’t be afraid to add some sparkle to your space. From introducing rich reds to hanging intricate ornaments, decorations can be both stylish and Christmassy. We love these lanterns filled with baubles. Living in Dubai, we can embrace the festive spirit whilst enjoying the good weather –we get the best of both! 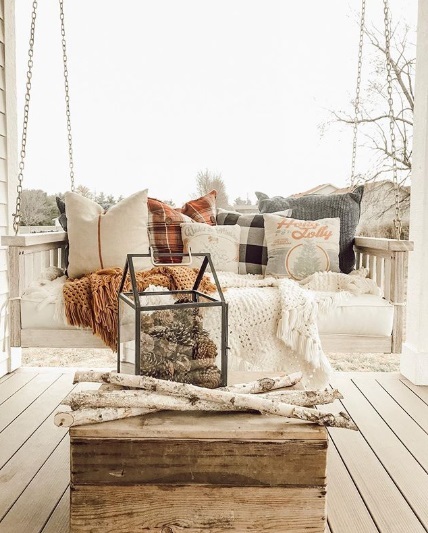 So make the most of your outdoor space and create a cosy corner that’s full of festive charm. 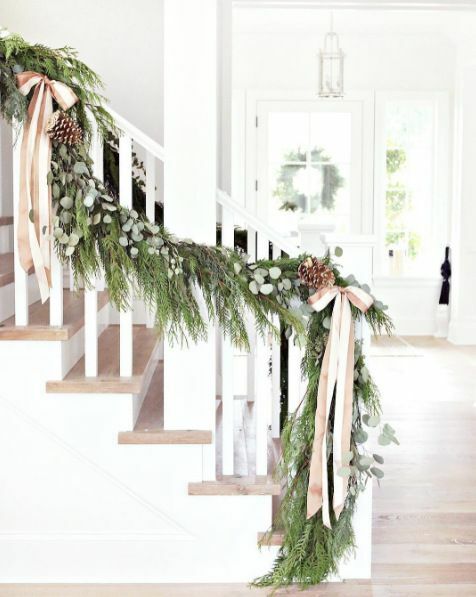 Make a statement of your staircase this season and add garlands, texture and colour. The holidays are the perfect excuse to decorate every inch of the house, but if you’d rather make one grand festive statement then make a feature of your stairs, instead of the tree (or both)! Put a beachy spin on the season –after all, Dubai isn’t a winter wonderland! Create nautical nooks and add elements of driftwood, ocean blues and shells. 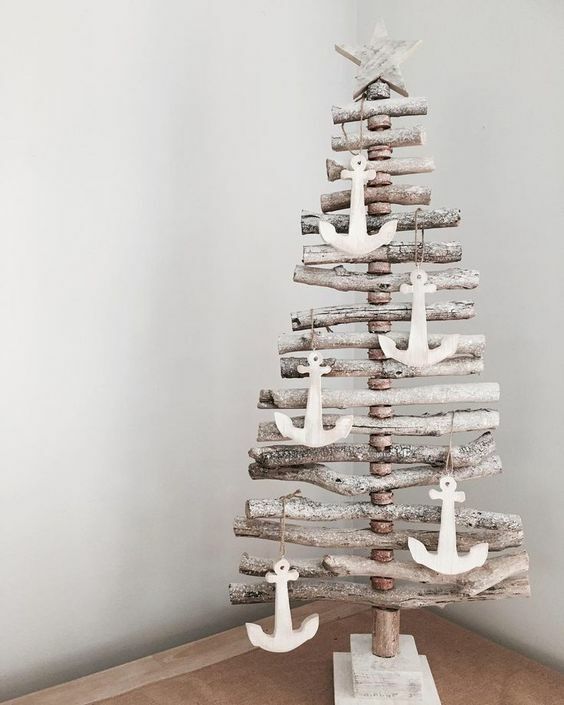 Small beachside touches can be easily woven into your décor and can still have seasonal cheer.